Conveniently Delivered To Your Doorstep! Finally, you can eat recently harvested, locally grown, organic produce conveniently delivered to your front door. Get to know our farmers, browse our recipes, and take comfort in knowing your delivery will be lovingly packaged from our family to yours. Daily Harvest Express is convenient, and provides delicious, organic food right to you! Great for people on the go! You can fill a friend’s fridge as a housewarming present! A wonderful way to cheer up someone healing from an injury! 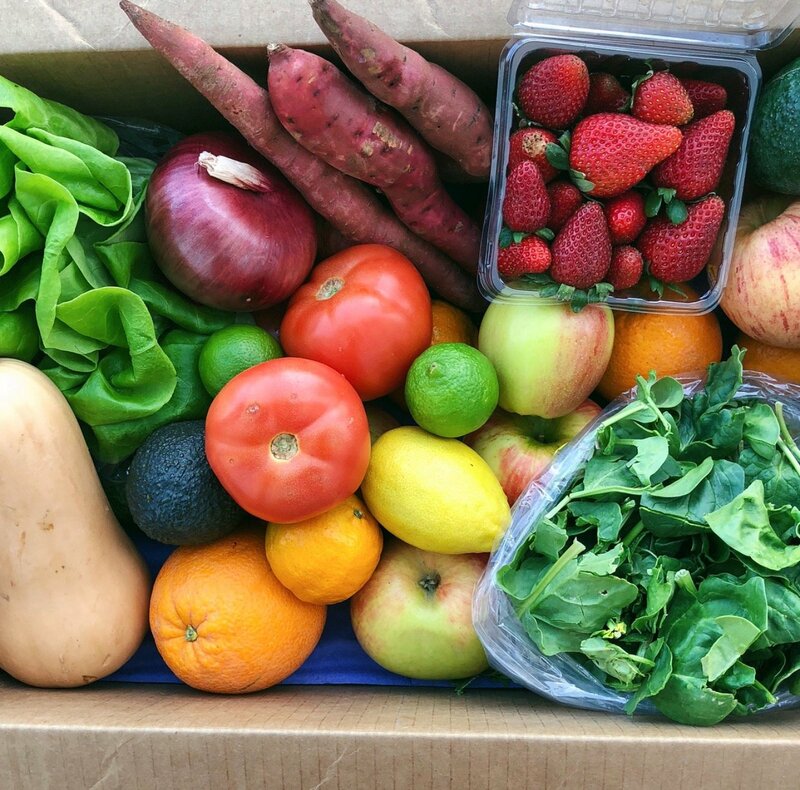 This pre-packed farm box may be just perfect for you! Enjoy a fresh medley of Fall seasonal fruits & veggies. Make it easy for yourself to choose wisely with seasonally fresh organic fruit, sourced from local San Diego farms. Enter your zip code below to see if we deliver in your area! Shop the market, and choose from the wide selections available. Start shopping by picking one of our pre-packaged Farm Boxes or create your own in the fun Build A Box section. Choose how often you want to receive your order: weekly, bimonthly, monthly, or just one time purchase. Go through our simple checkout, making sure you let us know your delivery address. During checkout, you’ll be asked to provide an email and a password. You’ll be able to login to your account any time to manage your future orders and payment options. Adding additional items like free-range eggs, organic cheese, local honey, nuts and oils. Pausing your order while you’re on vacation. Monday – Corporate fruit delivery for San Diego County. Please feel free to use the form below to ask us questions about our delivery service.